Each new day: And the Oscar goes to. . . I have a love-hate relationship with award shows. It's in that context that I'm writing this. Last year, 2015, the list of films that were nominated for the Best Picture Oscar were: Birdman, Selma, Whiplash, American Sniper, The Theory of Everything, The Imitation Game, The Grand Budapest Hotel and Boyhood. I had seen four out of the eight. I would never have gone to see Whiplash or American Sniper. I was iffy about Birdman. And I felt guilty about passing up Selma because it's the kind of movie I find so painful. I thought I was pretty well covered, however, for the major categories. Boyhood was considered to be the film to beat, the front-runner, and I was feeling confident. I thought Boyhood was brilliant. I had spent weeks in advance of the Oscars defending it from certain naysayers. There were people who sneered that the 12-years of filming the same actors to tell the story in "real time" was a gimmick. I even had to defend the movie from one viewer who said she didn't like it at all because she'd rather have seen the story of Mason's sister. I said maybe she'd have to wait for a movie called "Girlhood" — a movie I'd be happy to see but it wasn't this one. There's a feeling around awards and there's a point where you begin to sense where things are going. Once Alejandro González Iñárritu won the best director's award, I was starting to feel uneasy. I think people there, in the theatre, sensed something happening also. Sure enough, Iñárritu's movie Birdman won the best film award and I felt very disappointed. I usually don't mind that much; I usually go along quite docilely with whatever the Academy decides but last year, I was still feeling let down the following morning. 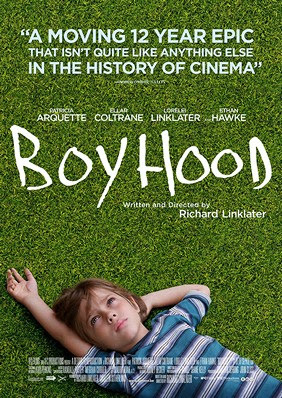 Boyhood was such a singular accomplishment, a film that can never be duplicated, a one-of-a-kind achievement. It seemed so wrong that it had been passed over. This year's nominated films are The Big Short, Brooklyn, Bridge of Spies, The Revenant, Spotlight, Mad Max: Fury Road, The Martian and Room. I've seen three of them. When I read a review of The Revenant, I ran as fast as I could in the opposite direction. You couldn't pay me to see that movie. But it's Alejandro González Iñárritu again and this year, he's getting all the buzz. He's not the underdog and I predict he'll win best picture, best director, best actor — Leonardo DiCaprio — and probably plenty of others. You can tell when things are moving in a certain way. Before The Revenant came along, I had chosen a few strong contenders for Oscars. 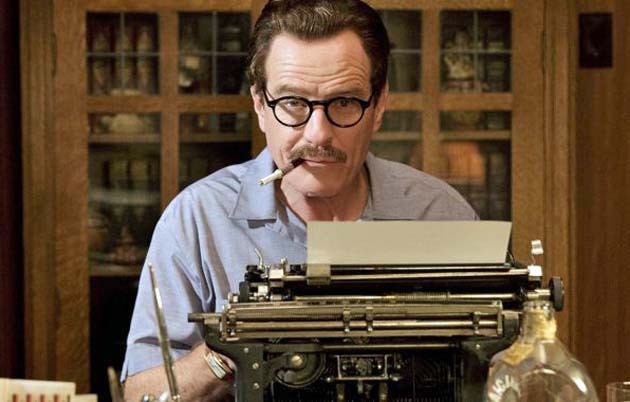 After we saw Trumbo, I felt sure that Bryan Cranston would win for best actor for his portrayal of the black-listed writer, Dalton Trumbo, during the McCarthy era. We didn't feel the screenplay was strong enough to carry a best picture nomination but the acting truly was phenomenal. I'm pretty sure now that he doesn't have a chance against Leo. Likewise Spotlight. As we were leaving the theatre after seeing it, I predicted it had a chance for a few awards. 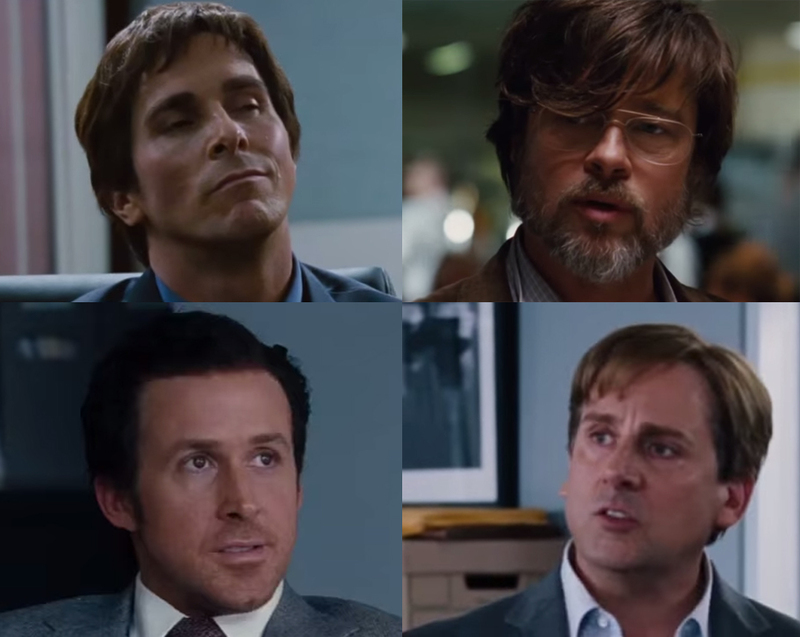 Since The Revenant, Spotlight too has slipped a few rungs down the awards ladder. Finally, my biggest disappointment this year is something I can't blame on The Revenant. Lily Tomlin was passed over for a nomination for her role in Grandma. It's a tough old business. Sometimes, it's just not your year.